When I designed my new Picture This! Collection of stamps and dies, one thing that I really wanted was a tag die that was just the right size. It had to be large enough to hold an Instax Mini photo but it had to be small enough to not over power the size of the gift that it embellished. I love the size of this tag. 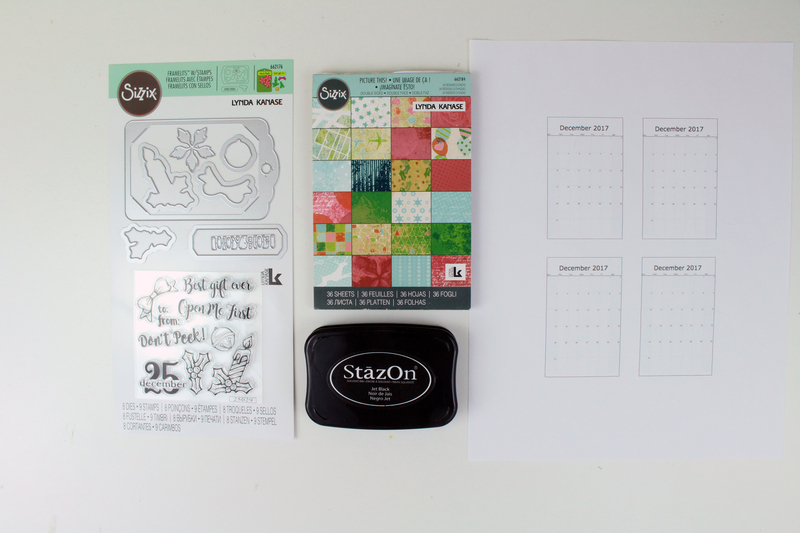 Supplies you will need: My Sizzix Seasonal Tag die and stamp set, my Picture This! 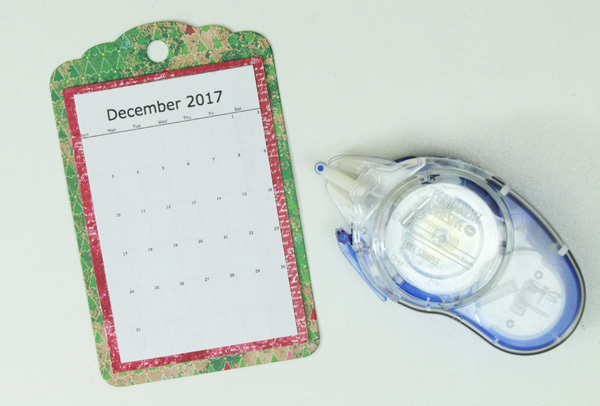 paper pad, Sizzix BigShot machine, black ink pad, white cardstock scrap, adhesive and the free printable calendar that you can download here: LyndaCreates_December_Calendar_Tag. 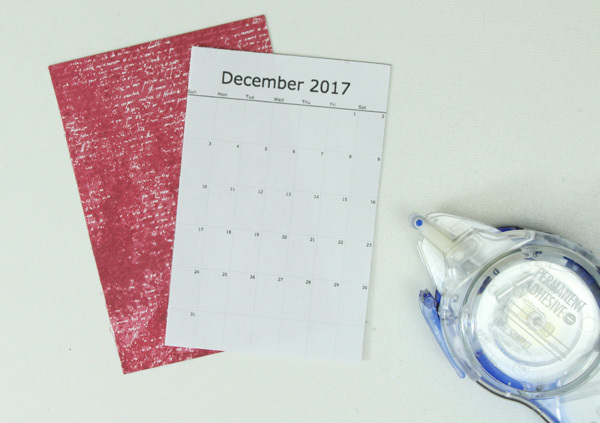 Following the printed lines, cut out one calendar from the sheet. 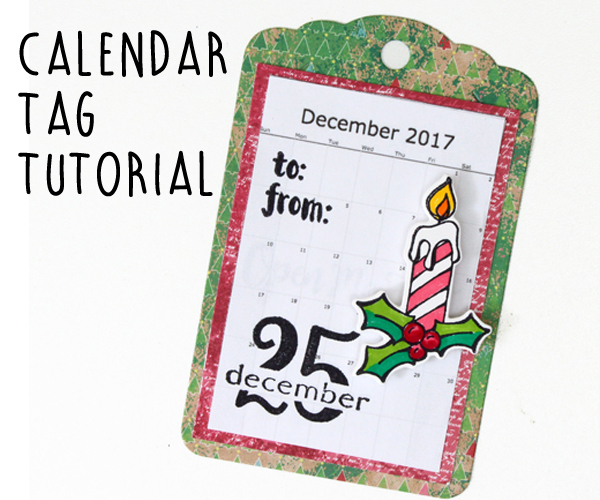 The printout sheet has four calendars so you can make lots of tags. Cut a sheet of red paper from my Picture This! paper pad to 2 3/8″ x 3 3/8″. Adhere the calendar to the center of the red paper. Die cut the tag out of the green triangle tree paper from the same pad. Adhere the red paper to the tag. 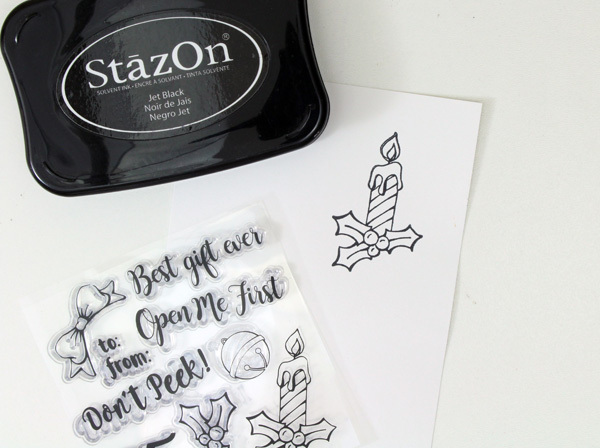 Stamp the candle onto white cardstock. 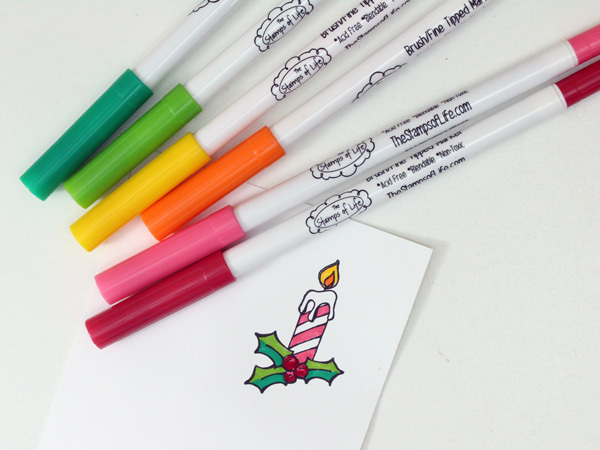 Color the candle with any medium of your choice. I love the vibrant colors of The Stamps of Life markers. 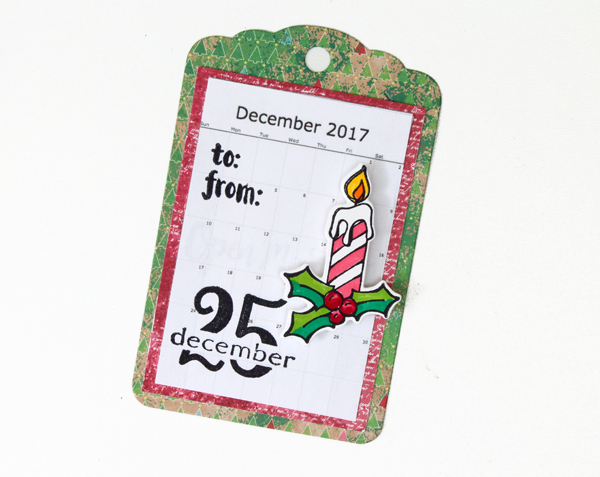 Using the coordinating die from the Seasonal Tag set, cut out the candle shape. 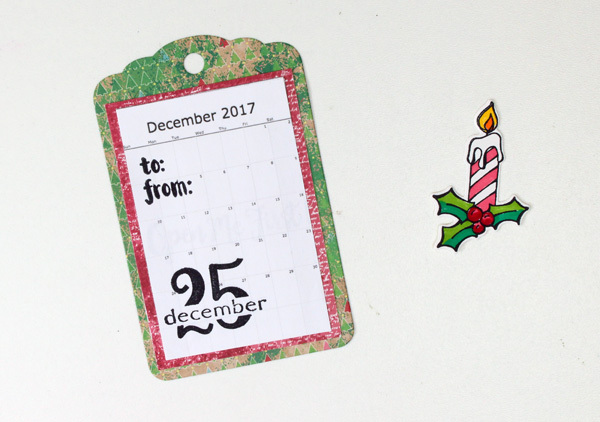 Using more stamps from the same Seasonal Tag set, stamp the words “to: from:” and “december 25” on the front of the calendar. 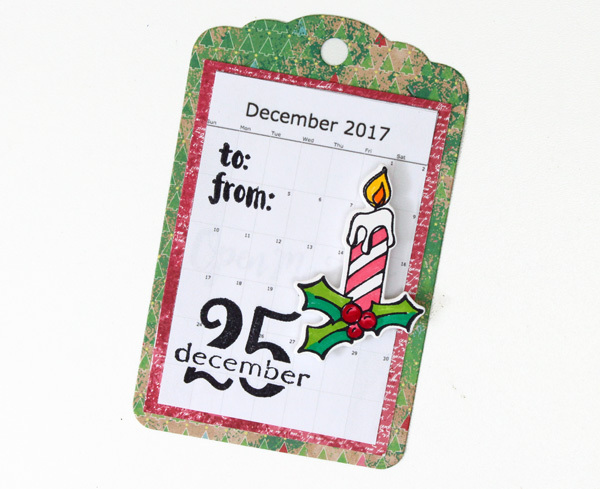 Position the 25 close to the actual date on the calendar in the bottom left corner. 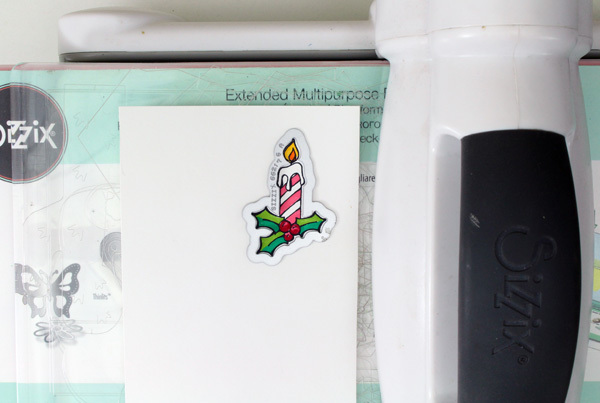 Use foam adhesive to adhere the candle to the front of the tag. Simple and versatile! Such a cute set – and you are right about this being a great tag size.